It is easy to combine multiple photos together and great creative with ON1 Photo RAW 2018. I put together this short (and fun) video so you can see just how easy it really is. I’ve also included step-by-step instructions below along with the practice files. So please follow along! 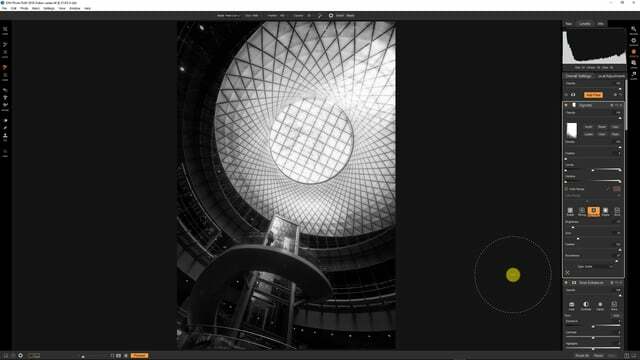 Launch ON1 Photo RAW 2018 and browse to where the practice files you downloaded are stored. 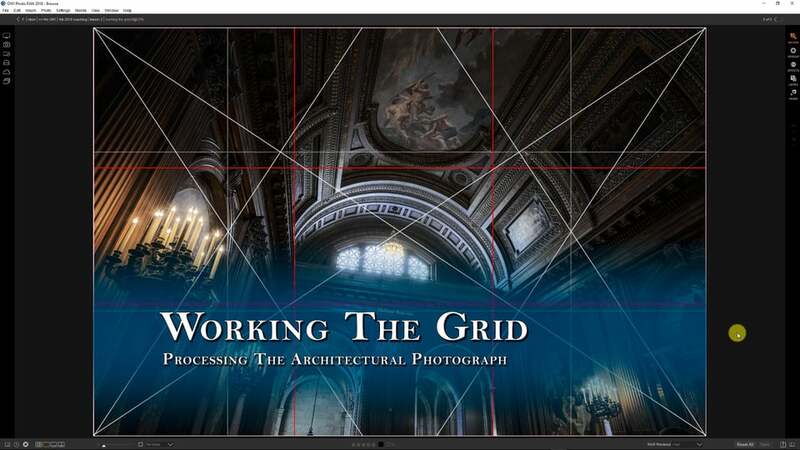 Select practice file _MG_3185.jpg and then choose the Layers icon in the module selector. Choose the Perfect Eraser to remove bottom trees from the bottom of the photo. Once the trees are erased use the Clone Tool to clean up the remaining trees under the plane. Once done cloning you can add the photo of the map as a layer. Go to the File menu and choose Add Layer(s) From File. Browse to the folder with the practice files and select Scandinavia_1730.jpg. 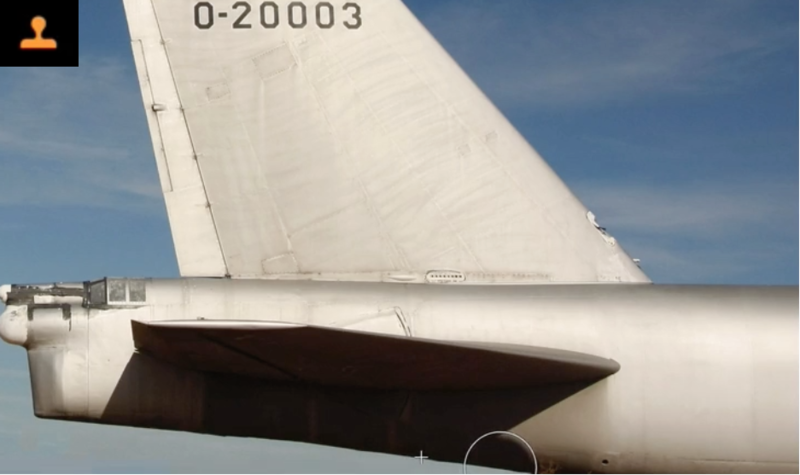 This will add the photo on top of the layer of the plane. Click and drag the Scandinavia map photo layer and drop it below the plane photo in the layers stack. 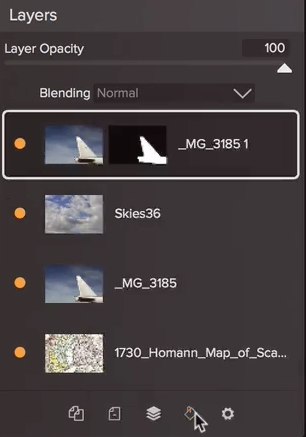 Once you have placed the Scandinavia map photo below the plane photo, select the layer with the plane photo. 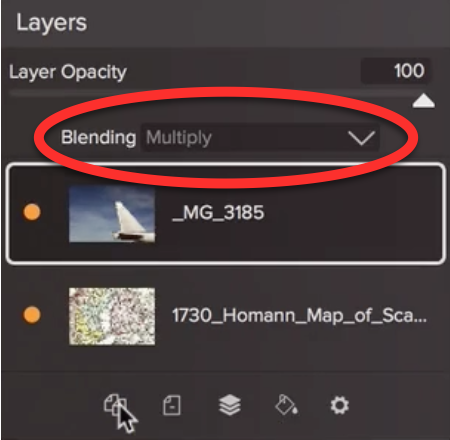 Now change blend mode of the plane photo layer to Multiply. 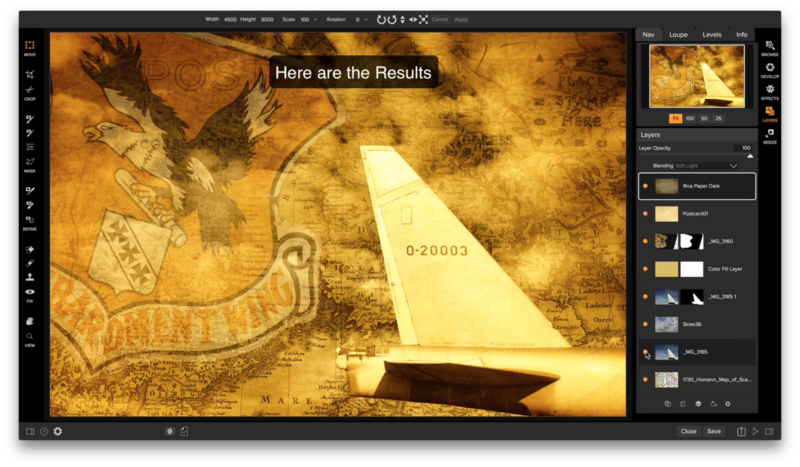 Duplicate the plane photo layer and then choose the Quick Mask Tool. 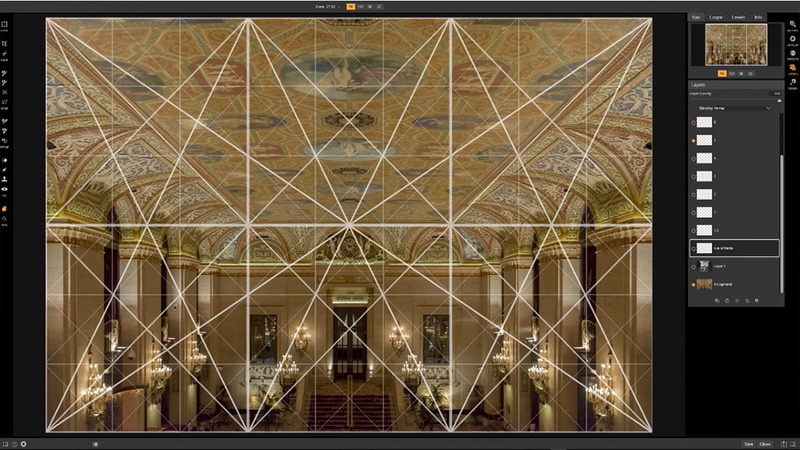 Make a long stroke with the Quick Mask Tool over the sky to create a mask on the duplicated plane layer. Next, select the layer directly below the layer you just masked. Now choose the Extras tab in the upper left corner of the screen. Choose ON1 Extras and then the Backgrounds folder. Next choose the folder labeled Skies. 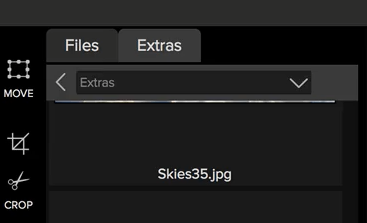 Scroll down to file Skies36.jpg and drag it over onto the canvas. Choose the Add as Layer option. Select the new Skies36 layer and change its blend mode to to Overlay. 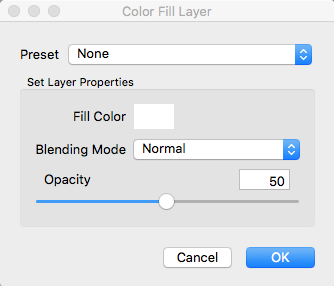 Next, select the very top layer in your layers stack and add a Color Fill Layer. The paint bucket near the bottom of the stack is where this option is available. Choose the color you want for the fill layer by clicking on the white box to the right of Fill Color. Choose a color you prefer with the color picker and adjust the fill Opacity to 75. Now, we will add the shield layer. Go to the File menu and choose Add Layer(s) From File. Browse to the folder with the practice files and select the file _MG_3160.jpg. This will add the shield photo as the top layer in the layer stack. 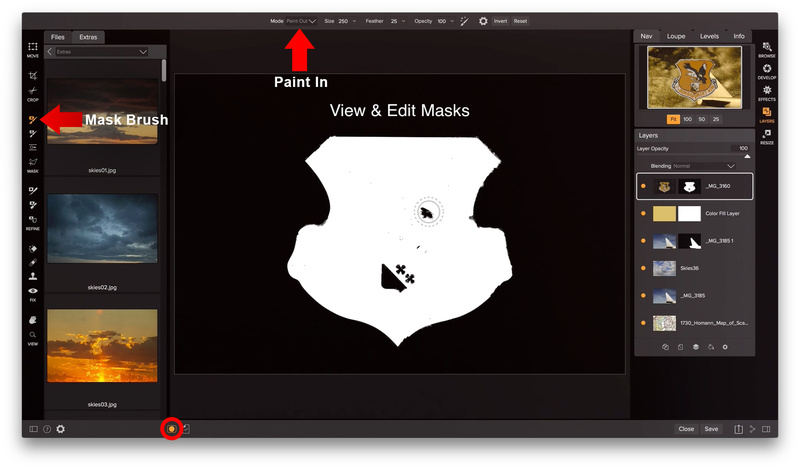 Use the Quick Mask Tool in a stroke around the shield to remove the black background. Clean up the new mask in Mask View (circled in red below near the bottom of the screenshot). In Mask View set your brush to Paint In and brush over the areas that were lost on the shield. Now position the shield using the move tool (the top tool in the tool well on the left). Drop the opacity of the shield layer to 42. 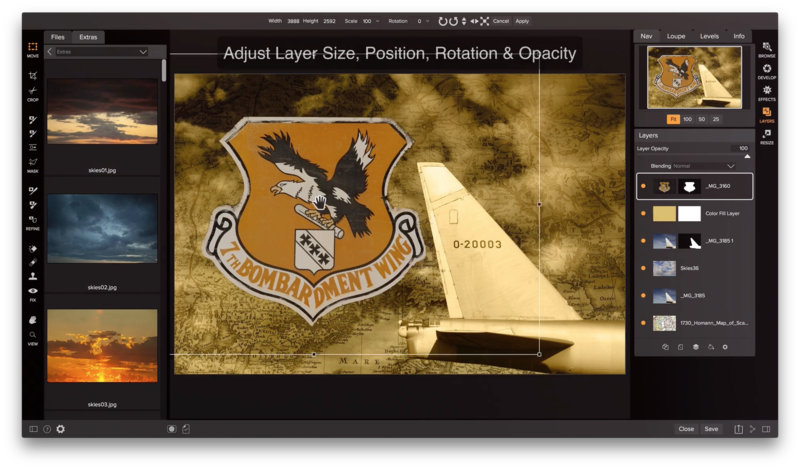 The Layer Opacity Slider is located just above the top layer in the layer stack. Now lets add a texture to really help with the look we are going for. 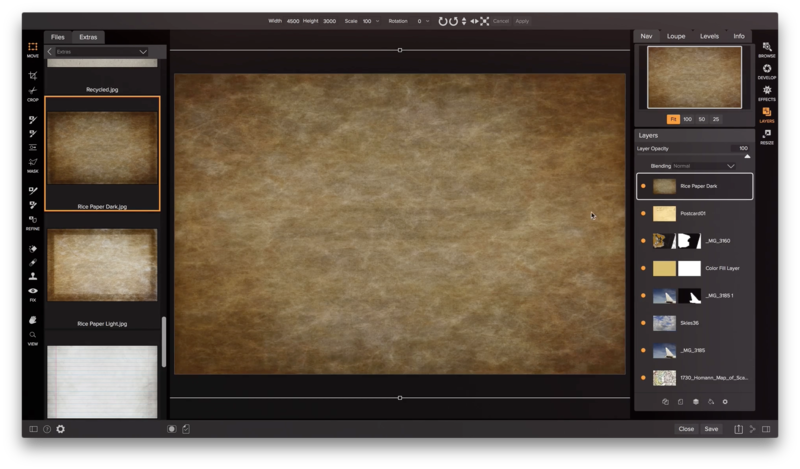 Go back to the Extras tab, choose ON1 Extras and then the Textures folder. Now scroll down and open the folder labeled Paper. From there scroll down to Postcard01.jpg and click and drag it on to your canvas. 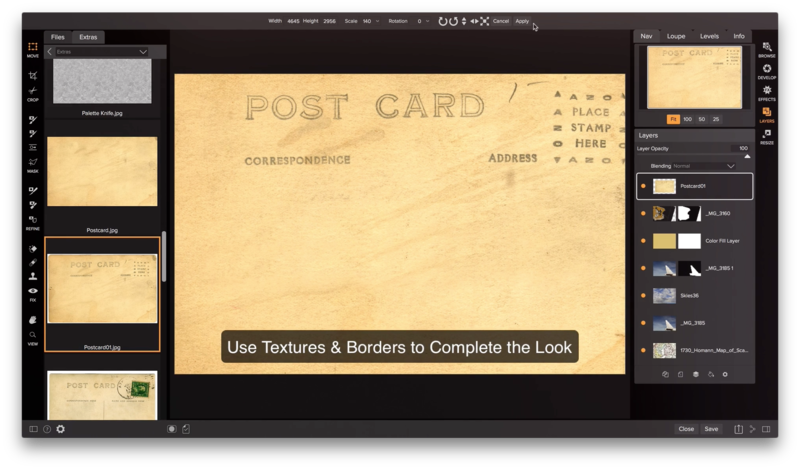 Use the Move Tool to reposition and scale the postcard file in the tool options bar at the top of the screen. Next, change the blend mode of the postcard layer to Multiply. Finally, we will finish off the composite by adding the Rice Paper Dark.jpg. This is in the same location as the postcard paper texture we just added. You can also position and scale this texture using the Move Tool and the options in the tool options bar at the top. Change the Blend Mode to Soft Light and you are done! Hi Dan, This is an area I am very interested in. Can we have another video like this with sound please! You cant follow the video because it is too fast. The instructions are fine but another video that is more in-depth would be most welcome.